The time is now to sort out your winter holiday. Accommodation starts to fill up fast the closer to Christmas and New Years’ we get so don’t delay! P&O Ferries run from Hull to the port city, Zeebrugge in Belgium for you to brighten up your winter. 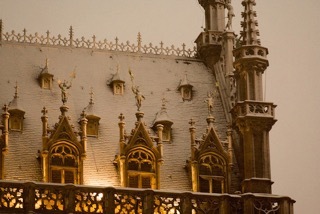 An urban tour of Belgium is really best suited to the winter months. The streets are less hectic and if you are fortunate enough to have timed it right, a light dusting of snow in places like Bruges will get even the staunchest Grinch in the Christmas mood. The spirit of Belgian cities such as Antwerp and Brussels is communicated through its architecture. Places with such long histories and so many stories to tell have the ability to really make a holiday enticing, you can fall in love with such places simply by walking down the street. To help you arrange your getaway this winter here is our run down of some of the most scenic parts of Belgium to be admired whilst wrapped up warm, as well as some dates for the Christmas Markets this December. Both Belgium and France are prime locations for Christmas shopping. Whether you want to spend the whole week gift shopping or intend on a quick weekend getaway then you’re sure to find that perfect something for your loved ones. In Belgium some of the Christmas Markets open in late November and they can remain focal points for tourist shoppers as well as locals in to the new year. Cities such as Bruges and Belgium have cobbled streets and narrow avenues that are perfect for window shopping. Chocolatiers and cafes do their best to outdo each other with tantalising window displays hoping to lure in travellers seeking succour. However with an open market you get to stand shoulder to shoulder with your fellow Christmas reveller, barter for heartwarming bric-a-brac, hear jaunty christmas music, with ringing bells in the distance. 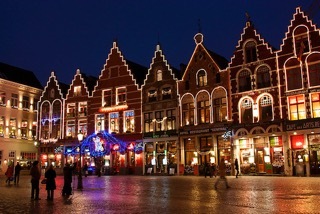 A city like Bruges has a truly magical atmosphere come the early evening, swaddled in scarf and gloves both kids and couples will be enthused with a sense of romantic wonder as you bask in glow of fairy lights explore the old town’s of Europe. Brussels’ christmas begins with the opening of Winter Wonders which has its grand opening on November 27th, you are welcome to this Christmas fairly land right through to January 4th. Over this period shops stay open all weekend in the hope that the market stalls won’t draw away too much of their custom. The streets are really the place to be though, as the capital city of Belgium the display of Christmas lights is a sight to behold. You can get a sweeping panoramic view of the city by taking a ride on the specially set up ferris wheel which will probably help you find the ice skating rink set up at Place de la Monnaie so you can get a little time on the ice before retreating for hot chocolates or maybe something a bit more fortifying. The only true centrepiece of Winter Wonders is the Christmas tree, a gift donated by the city of Riga, the capital of Latvia, this magnificent fir tree takes pride of place and you’ll definitely need to see it when it’s lit up at night during the Christmas Parade. Ghent is a less talked about attraction in Belgium, it is overshadowed by the fame of Bruges and the magnitude of Brussels. If you have, however, already seen Brussels at Christmas then it will be worthwhile to try a change of pace in a different city. It lies between Bruges and Brussels so consider a stopover especially since it will put you in good proximity to cross the border and give a French Christmas a try at the markets of Lille. In Ghent you can expect upwards of over 50 different market stalls spread across the city, they do a roaring trade in traditional gifts such as candles and decorations, but there will also be food vendors spreading good cheer with chocolate and waffles as well as a healthy supply of gin to keep things festive. 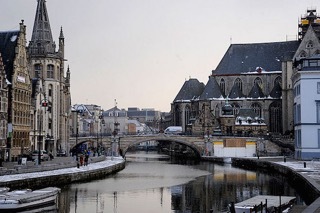 Ghent boasts some of the finest religious architecture in Belgium with Sint Baafs Cathedral and the Belfry which will be holding special Christmas masses this year. It would also be well worth your while to stop off at the major museums of the city which are holding late night openings as the sun starts to set a little earlier at this time of year. Then is also just a short drive from the P&O Ferry port at Calais, if you would prefer to have a shorter time on the water or just live closer to dover then take advantage of the dover Calais crossing and get to Ghent through the France. Your perfect Christmas is just a click away, book now for a Christmas like no other with P&O Ferries Hull to Zeebrugge service.